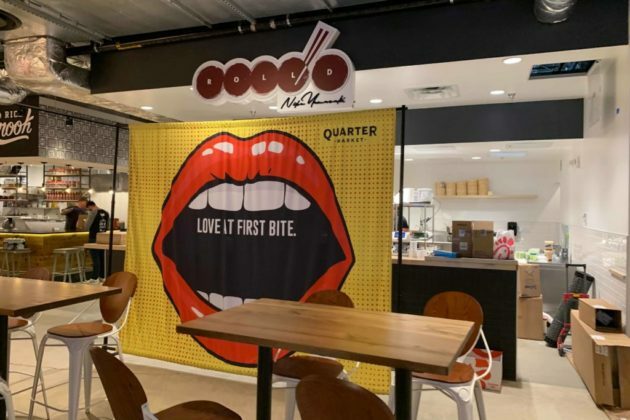 Two new restaurants are planning soft openings Thursday in Ballston Quarter’s new food hall, Quarter Market, with another planning a grand opening happy hour celebration. Local Oyster, a Baltimore-based seafood joint, is planning to launch tomorrow with a limited menu. 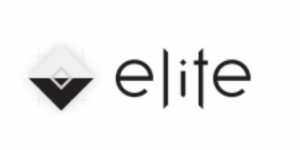 The full menu for the eatery includes beer as well as seafood like lobsters, scallops, crab legs, and — of course — oysters. Next door, sushi and dumpling restaurant Roll’d — helmed by Sushi Taro’s Chef Nobu Yamazaki — is also tentatively planning a launch with a limited menu. 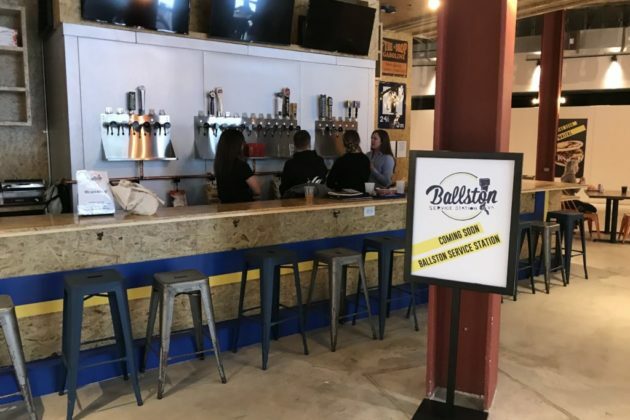 Meanwhile, the food hall’s main bar, Ballston Service Station, has been serving drinks for a couple weeks now, but the bar’s staff said a grand opening is planned tomorrow around 4 p.m. The new openings coincide with the “Ballston Quarter Celebration” at the mall. From 11 a.m.-2 p.m., the first 100 guests to check in at the Ballston Quarter tent will receive a voucher for a complimentary lunch at any vendor in the market. A family-friendly happy hour is planned for 5-7 p.m. with live music, a caricature and face painter, and food and drink specials. Other restaurants currently open in Quarter Market include Copa Kitchen and Bar, Hot Lola’s, Ice Cream Jubilee, Mi & Yu Noodle Bar, Rice Crook, Sloppy Mama’s BBQ, and Turu’s by Timber Pizza Co.
(Updated at 4:45 p.m.) Meridian Pint hopes to open up in Arlington by mid-May, according to owner John Andrade. Andrade told ARLnow today (Wednesday) that his new Dominion Hills location is slated to open around May 15, pending final county inspections this month. The new pub is inside the Dominion Hills Centre shopping plaza at 6035 Wilson Blvd. Andrade said he’s applying the “last layers of polyurethane” to the space. On Monday, he announced his flagship “Pint” in Columbia Heights will close Sunday after nine years in business. 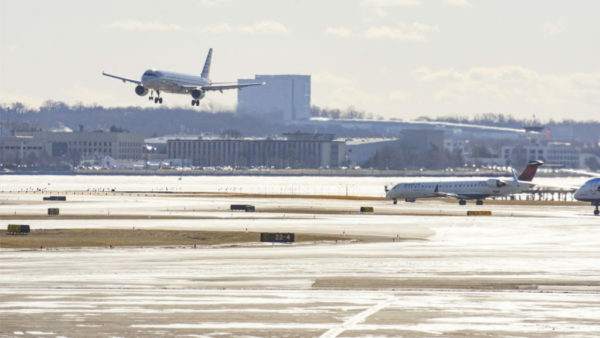 In a statement shared by PoPville Andrade cited “evolving needs of our staff, our customers, our lives and our city” as a reason for packing up shop. Andrade also runs three other D.C. restaurants: Brookland Pint, Rosario’s Tacos & Tequila in Adams Morgan, and Smoke & Barrel in Adams Morgan. Construction of the Arlington space began last fall, two year ago after he announced plans to expand across the Potomac. Now he says he’s hiring servers, bartenders, and cooks, and redesigning the Columbia Heights menu to fit an Arlington clientele. “IPAs are very popular in Northern Virginia, so you’ll definitely see a nice selection of that,” said Andrade. Andrade, who is an Arlington resident, said last year he looked forward to pub being within walking distance of his neighborhood. (Updated a 9:45 p.m.) Mister Days shuttered its doors this weekend, but not before toasting the bar’s 43 years in D.C. and Arlington with a pair of final parties on Friday and Saturday. Lee told ARLnow that the closing was “bittersweet” and that he plans to focus full-time on resolving some ongoing health issues. Hundreds filled the bar over the course of Friday night to watch a game and drink cold beer from the ice buckets perspiring on the wooden tables. 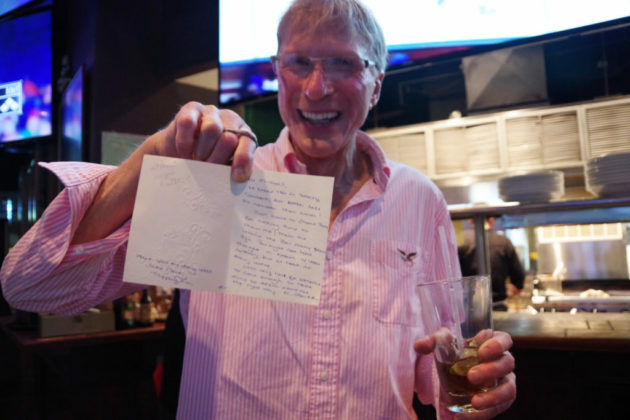 Some flew in from as far as California for last call, and well-wishers from all over the country called Lee several times during this reporter’s interview. 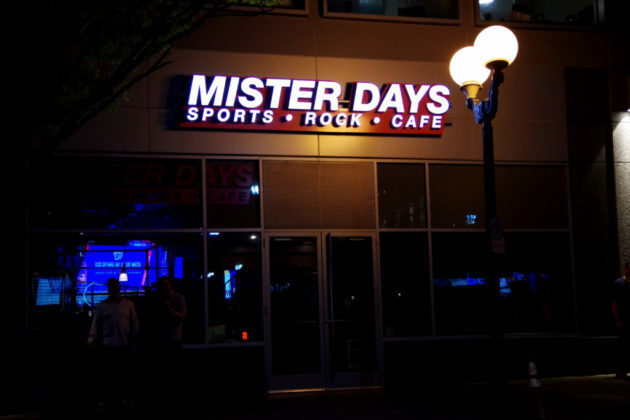 (Updated at noon) Clarendon sports bar Mister Days is closing next week, according to owner Robert E. Lee. 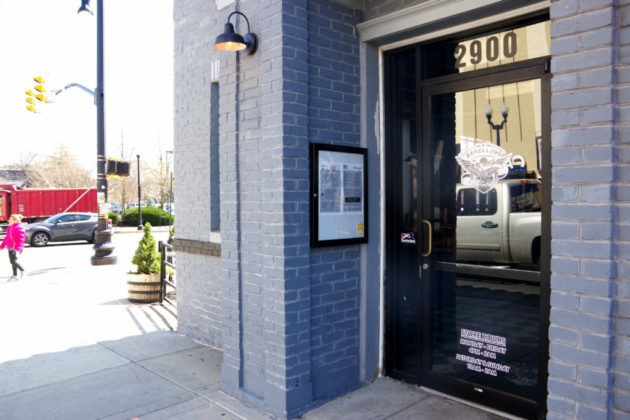 Furniture, fixtures, and some equipment were sold Thursday morning to Arlington chef Patrick Crump of the Clarendon Grill, which closed in October after 22 years in business. Mister Days will close on April 12 or 13, Lee said, but before that happens there will several parties. “A series of the last days of Days,” he said. Crump is expected to open a new restaurant called “The Grill on Highland” in the space within the next two months, Lee told ARLnow. Mister Days has been a favorite stop for local office workers, weekend partiers, pub trivia contestants, college students and sports fans for almost half a century and has served Hollywood stars like Arnold Schwarzenegger and hosted performances by Mary Chapin Carpenter, according to Lee. Lee is subletting the space to the new group, but says he’s keeping the “Mister Days” brand name in case he wants to sell it or open another establishment. 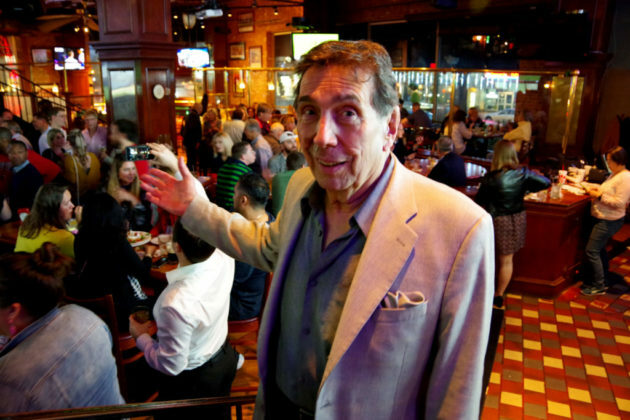 Lee, who’s turning 80 this year, cited ongoing health issues as a reason for closing the bar and said the decision had nothing to do with rent costs. He asked patrons to keep an eye on the Mister Days website, which will post details tomorrow about next week’s going away parties. 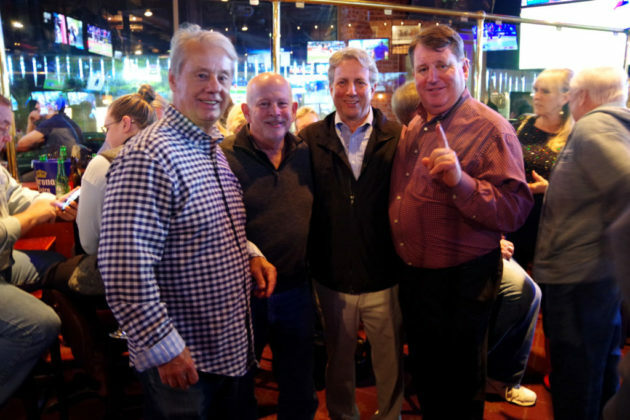 The bar celebrated its 40th anniversary in 2017. It first opened in the Dupont Circle area of D.C. in 1977, then moved to Georgetown, finally settling in Arlington in 2001 as it grew from an alley pub to a community institution. Lee previously said he was weighing whether to invest in renovations or retire. “Forty-three years is a lot of history,” he said Thursday. (Updated at 5:15 p.m.) Arlington’s newest craft beer bar “Rebellion on the Pike” is opening this week. Silver tables and chairs sit under the string lights of its outdoor patio area. Inside, black and brown wood furnish the bar. 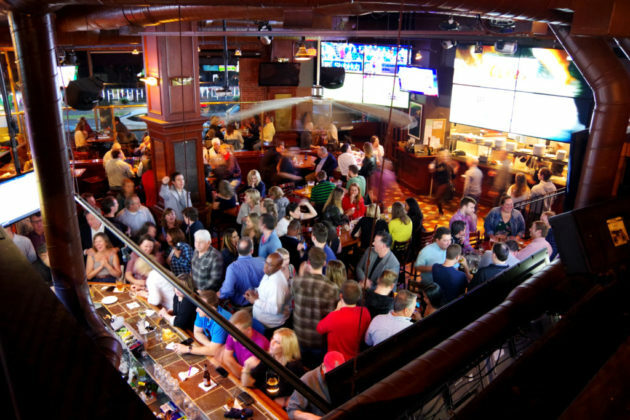 The bar is open from 4 p.m. to 2 a.m. on weeknights and from 10 a.m. to 2 a.m. Saturdays and Sundays. 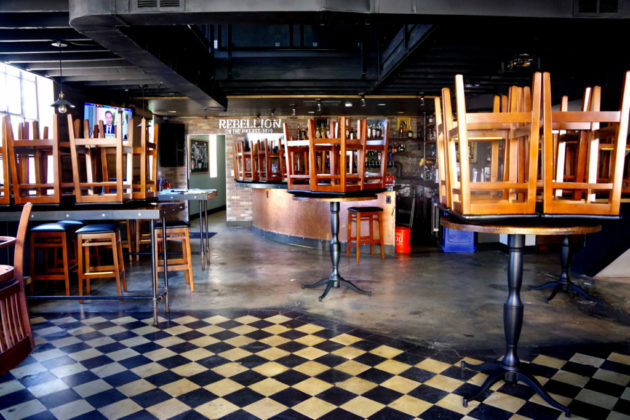 Located at 2900 Columbia Pike across from the Arlington Cinema and Drafthouse, the Rebellion’s menu features a variety of sandwiches like “The Ronnie” which stuffs 1/3 pound of smoked pork on ciabatta with an Alabama white sauce and bourbon picked slaw, and the “Rebel Yell” with smoked turkey breast, bacon, tomatoes, and white American cheese on sourdough. 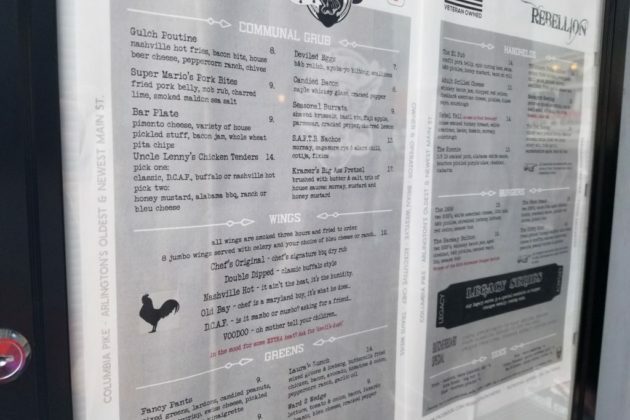 Rebellion also serves wings, salads, a variety of pork sandwiches, and “communal grub” like fried pork belly bites, and poutine with house beer cheese, per the menu. 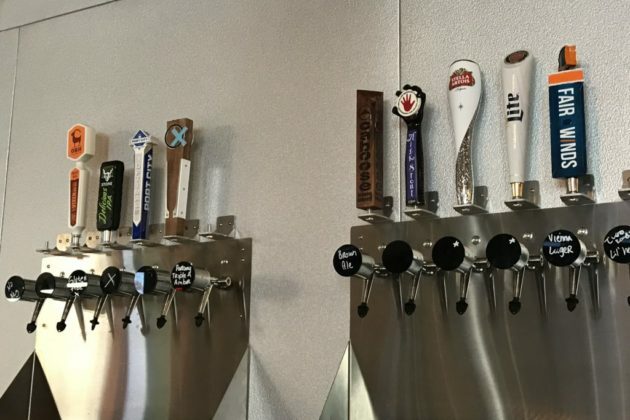 The bar will feature 24 draft lines of craft beer, according to social media posts. A full drink list of the beers, wines, and spirits was not available in time for publication. 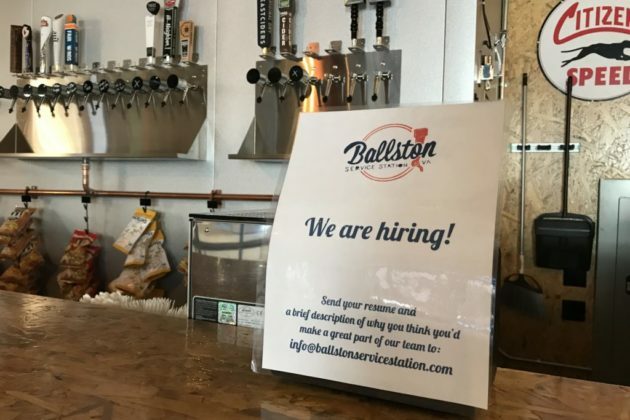 As of today (Monday), the bar’s website says it’s hiring. Brian Westlye founded Rebellion and is the COO of the hospitality company that’s managing the bar. 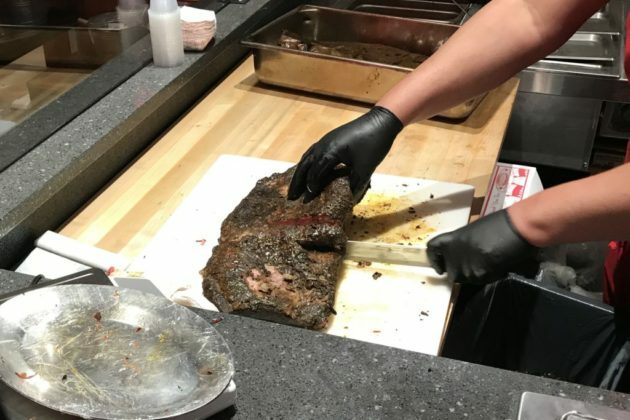 Westlye said in February he was “hopefully” opening by March 1, though most new restaurants in Arlington end up being beset by varying degrees of delays. Rebellion quietly opened its doors and served its first customers last week as part of a soft opening. Wesley founded the first “Rebellion” in D.C.’s Dupont Circle neighborhood. That location serves up a sizable whiskey list as well as burgers, beer, and cocktails. 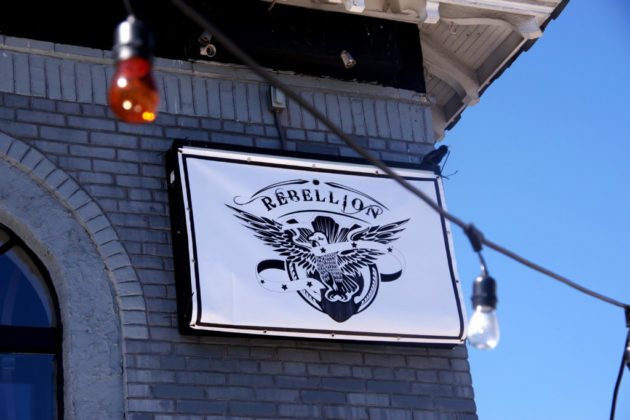 Rebellion replaces “Brickhaus” which closed last year after owner Tony Wagner said it “never took off the way we expected and hoped it would,” after delays from a lengthy permitting approval process. 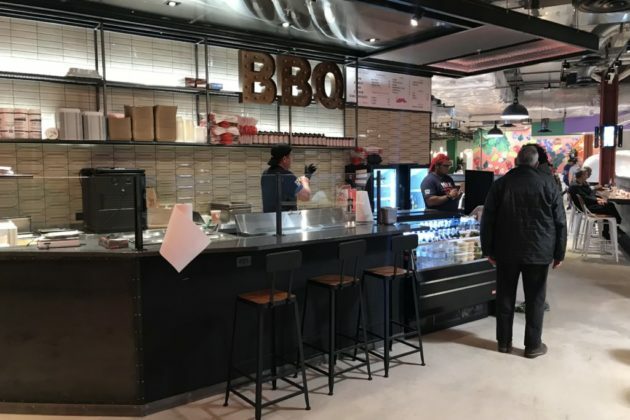 The rapid-fire openings at Ballston Quarter’s Quarter Market food hall are continuing this week. 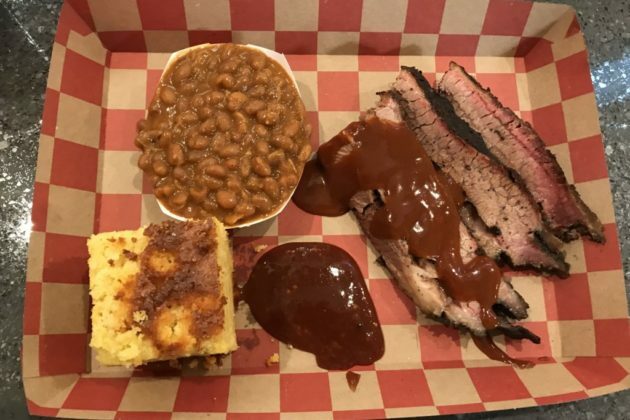 After a “soft opening” Friday, Sloppy Mama’s BBQ was open for lunch today, serving wood-smoked meats in sandwiches and platters, alongside homemade sides and barbecue sauces. 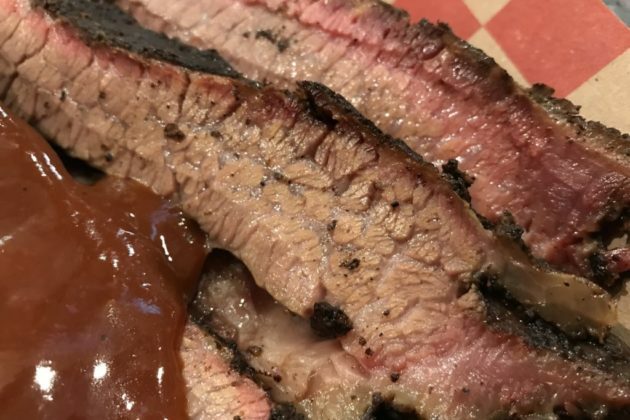 It’s the food truck’s first bricks-and-mortar location and its first major foray outside of the District — though some of its barbecue supplies are sold at Arrowine on Lee Highway. Though it was only open for lunch today, and its hours are not yet set, Sloppy Mama’s expects to eventually be open for lunch and dinner. 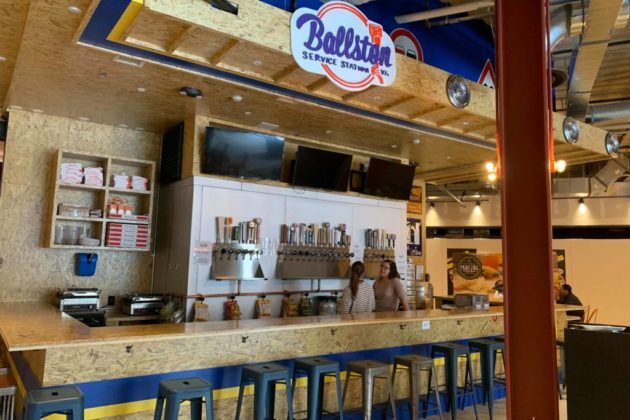 Also open for a Friday “soft opening” was Ballston Service Station, which will serve as the food hall’s main bar. Featuring 20 taps of beer — from local brews to cheap classics and popular imports — plus six wines and two cider on tap, the bar strives to provide “something for everybody.” Customers can drink at the bar or take it with them elsewhere in the food hall. 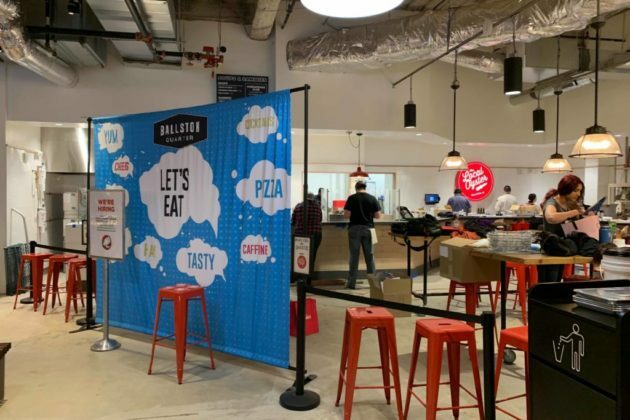 “We want to to be able to get whatever you want, so you can walk around and pair it with something to eat here,” said Andrew Dana, the co-owner of Ballston Service Station and also the co-owner of another Quarter Market vendor, Turu’s by Timber Pizza. As it must to comply with Virginia ABC regulations, the bar will also serve food: paninis and chips. Dana said Ballston Service Station will re-open Tuesday. Its regular hours will be 4 p.m. to close. 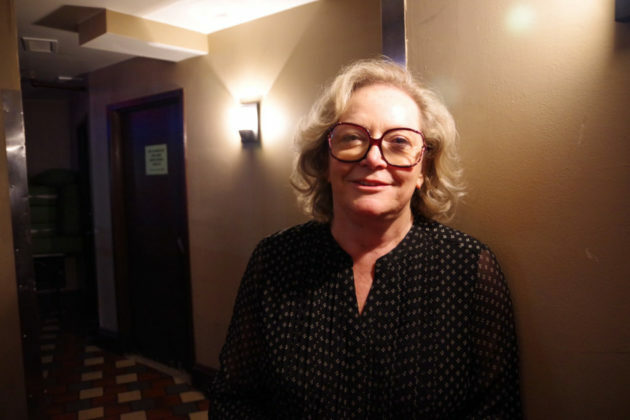 (Updated 3/28/19) Drag shows in Arlington are now taking their first high-heeled step outside the gay bar scene, but members of the scene say it hasn’t lost its roots. 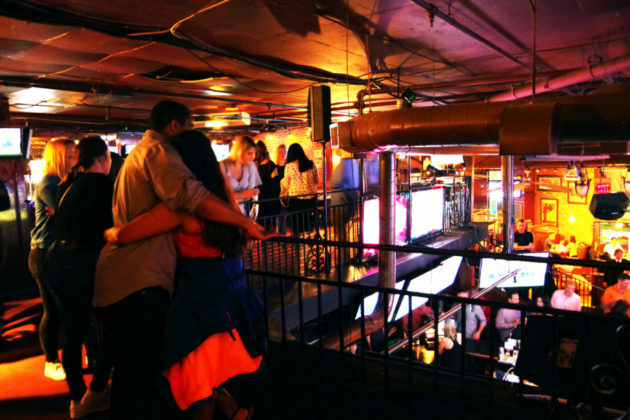 But earlier this month, one bar in Clarendon began offering drag bingo nights as gay business leaders say growing demand for the glittery entertainment is opening up new doors for drag queens. And As RuPaul’s moved from a niche gay television network to VH1, so too did drag shows begin moving from the gay bars to the straight pubs. “RuPaul has kind of made it more mainstream,” agreed long-time local drag queen Destiny B. Childs, who managed Freddies’ weekend drag shows for the last 15 years, adding that until recently not many straight bars hosted drag. Arlington is now joining D.C. and other local jurisdictions in having drag events at straight bars. The mainstream move was kickstarted by the Board Room in Clarendon (925 N. Garfield Street), whose owner Mark Handwerger said he first had the idea to bring the glitz and glam of drag to his establishments after a trip to Las Vegas, Nevada. 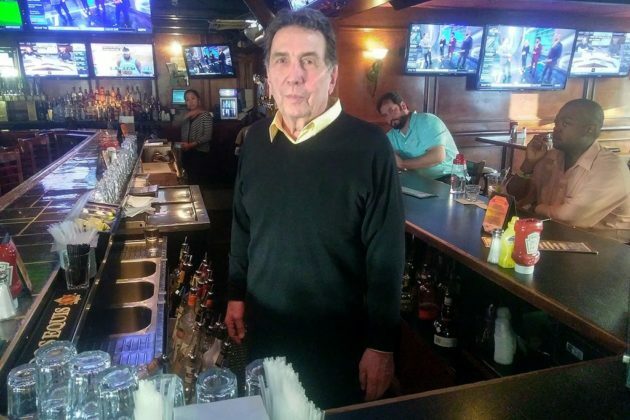 Handwerger said to him incorporating drag events into the Board Room was no different than the modifications he’s made to his other bars like Buffalo Billiards as people’s taste changes. “We try to look for trends and give people want they want,” he said. But for the LGBT community, drag shows have been a fixture from the beginning. Over the decades, drag queens have donned make-up and wigs to start the Stonewall Riots and fundraise for AIDS research during the height of the epidemic. Drag queens’ gender-bending performances are an integral part of the culture and history of queer and trans communities, stories some people worry could get lost in the translation to pop culture. But Arlington is special, Childs and Lutz say, because traditionally Freddies’ encouraged mingling between the gay population and their straight, cis allies. Lutz said this is because when he bought the bar “Foxhole” and turned it into “Freddie’s” he never closed for renovations or kicked the regular bar clientele out. The space that once housed Clarendon Grill is going to be a bar and restaurant once more. “The Pinemoor,” described in a bare-bones Facebook profile as an “American bar/restaurant,” is coming to the space. 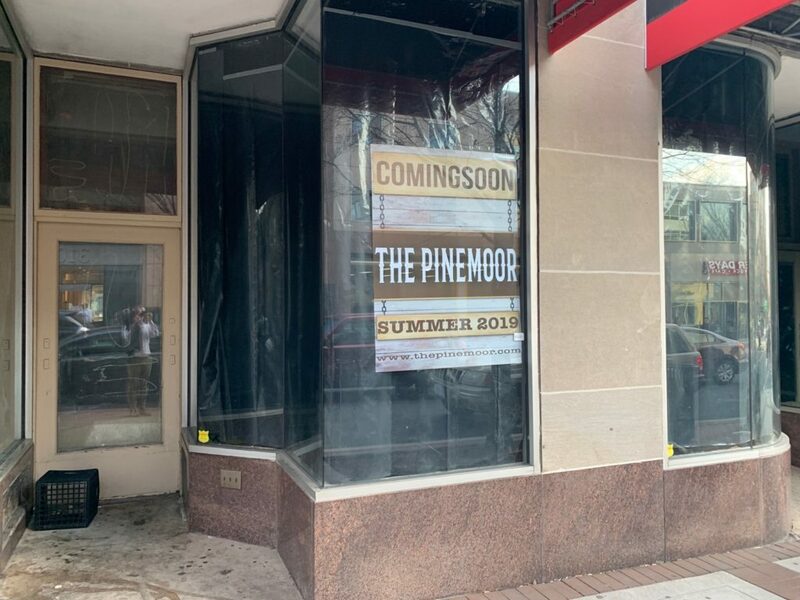 Signs in the window, which sport a distinctly Old West design, say the restaurant is expected to open this summer. Tipsters told ARLnow they have seen construction activity inside the restaurant space, though it is mostly blocked from view by curtains. Clarendon Grill had hosted bands and other nightlife at the 1101 N. Highland Street space in Clarendon for 22 years before closing late last year. “C-Grill” was renovated in 2010 and a back outdoor patio was added. Hat tip to @6number6. Photo courtesy Alex Koma. There are plenty of local restaurants and bars hosting green-themed shenanigans — too many to list here. But it’s a safe bet that if you go to one of Arlington’s Irish pubs this weekend, it’s going to be crowded. Pamplona and Bar Bao (3100 Clarendon Blvd in Clarendon: Attendance is free and this outdoor event will feature food, DJs, party favors, and prizes, per the Eventbrite invite. The G.O.A.T. 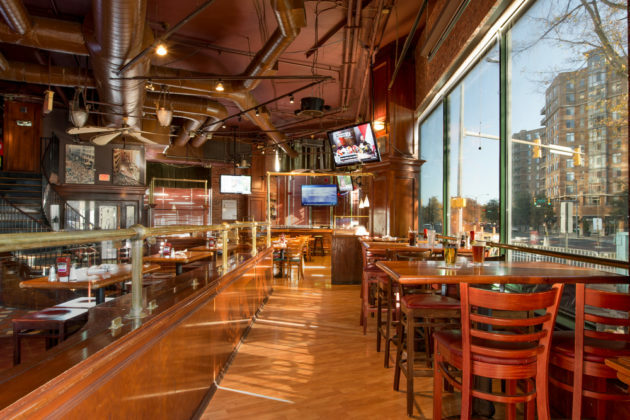 (3028 Wilson Blvd in Clarendon): The bar is hosting both March Madness games on TV and an Irish breakfast buffet all day Sunday from 9 a.m.-3 a.m. The buffet costs $21.95 per person, and the pub’s drink deals include $4 Guinness, $6 Jameson or $5 Tullamore, and green beer and mimosas. Samuel Beckett’s Irish Gastro Pub (2800 S. Randolph Street in Shirlington): On March 17, the bar will open at 9.a.m. to host live music from Aidan Croke, Ciaran Quinn, and the Shamrockers (no cover charge) and a performance by the Irish dance group from the Boyle School of Dancers. Celtic House Irish Pub & Restaurant (2500 Columbia Pike): The restaurant is serving brunch on Saturday (from 10 a.m.) and Sunday (from 9 a.m.) and features Irish musician Pat Garvey on Saturday from 7-8 p.m. Garvey returns to the restaurant Sunday at 2 p.m., along with Irish dancers. O’Sullivan’s Irish Pub (3207 Washington Blvd in Clarendon): The pub will host two performances by the Boyle School Irish Dancers on Sunday at 2 p.m. and 6:30 p.m., as well as showcase performances by musicians Greg Snyder, Britton James, Mike Leverone and Willem Dicke. Ireland’s Four Courts (2051 Wilson Boulevard in Courthouse): The bar will have a heated tent for bar-goers along with live music, Irish dancers, and traditional food served all weekend. March Madness will also be on the screen for any die-hard fans not wanting to choose between watching college sports and listening to bagpipers. Four Courts is also hosting daily events (listed on its website) this week leading up to the big day. O’Malley’s Pub (2650 Jefferson Davis Highway in Crystal City): Enjoy Irish food favorites like fish and chips, and bread pudding, along with a $4 Guinness special at this pub from Friday to Sunday. 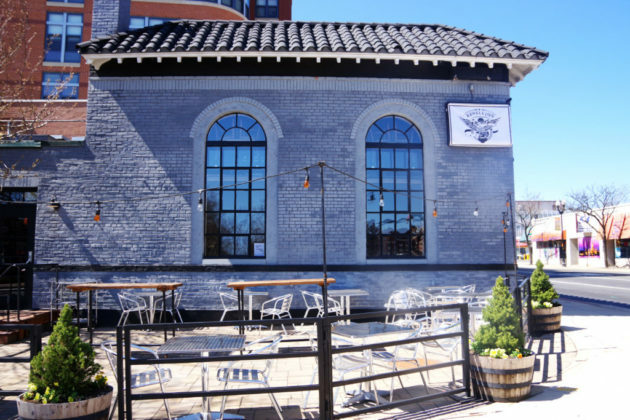 Liberty Tavern (3195 Wilson Blvd in Clarendon): The restaurant is serving a bottomless brunch buffet of traditional Irish fare from 9 a.m.-3 p.m. After 3 p.m. the restaurant will offer drink specials, and will add “beer bucket” specials and DJ music at 8 p.m.
Wilson Hardware (2915 Wilson Boulevard in Clarendon): The three-story bar is throwing a 90’s party promising songs from Irish artists and plenty of their “shareable” pub food appetizers. Party will start at 8 p.m. on Saturday. Four Courts Four Miler: If you’re a runner, the annual Four Courts Four Miler offers a challenging course from Courthouse, through Rosslyn, and back. Registration for the Saturday morning race is currently priced at $43. 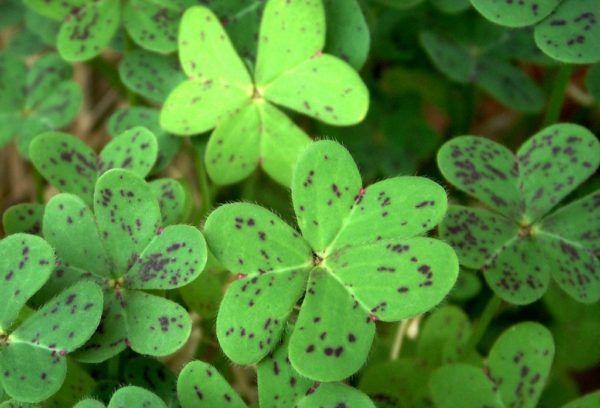 50th Anniversary Ceili: The O’Neill James School of Irish Dance is celebrating its 50th anniversary with a traditional Irish dance party (called a “céilí” in Irish Gaelic) at the Knights of Columbus (5115 Little Falls Rd) Sunday from 5-8 p.m. Tickets cost $10 online, $15 at the door, families pay no more than $60. Kids 5 and under are free. (Updated at 2:45 p.m.) A man who was upset about being kicked out of a bar came back and threw a rock through a window, police say. The incident happened Sunday night in Clarendon. Around 8:15 p.m., a man was asked to leave a restaurant on the 2900 block of Wilson Blvd, which is home to Ambar, Wilson Hardware, Mexicali Blues and other businesses. After an “altercation” with the bouncer the man walked away, but came back shortly thereafter and threw a rock, shattering the business’ window, according to police. No injuries were reported and the man then fled before police arrived on scene. MISSILE INTO OCCUPIED DWELLING, 2019-02100215, 2900 block of Wilson Boulevard. At approximately 8:23 p.m. on February 10, police were dispatched to the report of destruction of property. 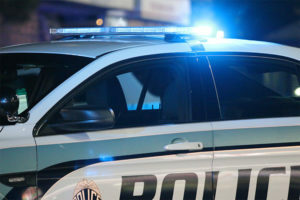 Upon arrival, it was determined that after the male suspect was asked to leave a business, he became disgruntled and became engaged in an altercation with the bouncer. The altercation was resolved and the suspect started to walk away, but re-approached the business and threw a rock at the window, causing it to shatter. The suspect fled prior to police arrival. The suspect is described as an Asian or Hispanic male, approximately 5’7″-5’9″, with black hair that was longer in the back and a receding hairline, with a skinny build. The investigation is ongoing. The rest of this week’s crime report, including Monday’s attempted bank robbery on Columbia Pike, is below. 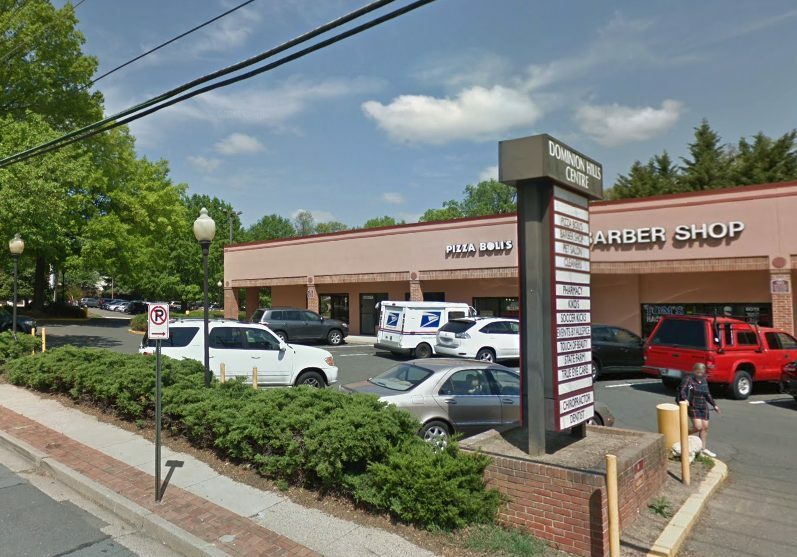 ATTEMPTED BANK ROBBERY, 2019-02110123, 3500 block of Columbia Pike. At approximately 2:15 p.m. on February 11, police were dispatched to the report of a robbery. Upon arrival, it was determined that an unknown suspect entered the bank, passed the teller a note demanding money and displayed a firearm, before fleeing the scene without any money. Arriving officers established a perimeter and canvased the area with negative results. The suspect is described as a black male, approximately 5’9″-6’0″, 20-30 years old, wearing dark clothing, a construction mask, and covering his face. The investigation is ongoing. Police released surveillance images of the bank robbery suspect Thursday afternoon.